It's a bug-eat-bug world out there and the same applies to parasitic wasps - even parasites can themselves become parasitised - which is why some parasitoids recruit their dying host as defence. The parasitoids that go after other parasitoids are call "hyperparasitoids" and the species we are featuring today is Gelis agilis, a tiny wingless wasp that lays its eggs in the cocoons of parasitic wasps such as Cotesia glomerata. 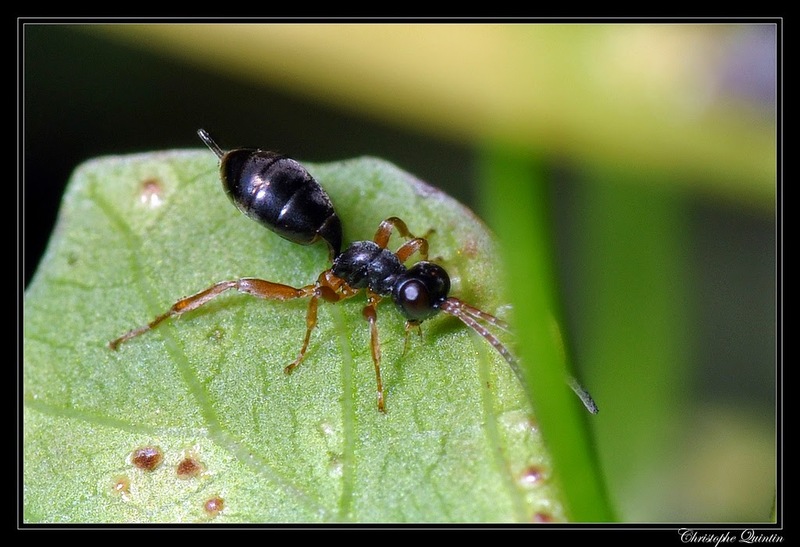 If there is a group of tiny insect which are generally regarded as pretty unpalatable, it is ants (except for animals that specialise on eating ants), so many other creatures have evolved to mimic them in one way or the other. When it comes to playing the part of an ant, G. agilis is a method actor - not only does it look and act like an ant, it even smells the part. When agitated, it emits a volatile chemical call sulcatone, which is the same chemical used by ants as alarm pheromone to rally colony members to their defence. This "full spectrum mimicry" pays off. Spiders that normally pounce straight onto similarly-sized insects such as fruit flies or parasitic wasps like C. glomerata would hesitate or back right off when confronted with Gelis. A species related to G. agilis - G. aerator - looks and acts like an ant but lacks the distinctive "antsy" smell. When G. aerator was put through experimental trials up against hungry wolf spiders, most spiders back off due to its ant-like appearance. But the lack of matching ant BO was enough for a few more daring (or desperate) spiders to get the jump on G. aerator. What does the cause of pigeon canker, today's parasite, and the most common curable sexually transmitted infection in the world have in common? All of them are parasites from the genus Trichomonas. The species that causes pigeon canker is T. gallinae, a protozoan that lives in the upper gastrointestinal tract of pigeons, and it is currently posing a significant threat California's only native pigeon. While T. gallinae does not always cause disease, when the host is stressed, the parasite multiplies, causing lesions to develop in the throat and mouth of their host. The host eventually dies from starvation as the lesions makes it difficult for them to swallow anything. It is possible that a parasite like T. gallinae might have even brought down the occasional Tyrannosaurus rex over 65 million years ago - though the culprit is most likely to have been a different (but similar) species of parasite given how long ago that it all happened. With T. rex being one of the most badass dinosaur of all time, it is appropriate that the species of Trichomonas that we are featuring today - T. gypaetinii - is found in some pretty badass living dinosaurs as well. This parasite was first isolated from a bearded vulture (Gypaetus barbatus) - which I am sure most would agree is a very handsome and intimidating bird. When T. gypaetini was initially isolated, it was not fully described as a species, as there was insufficient material to do so. However, this study reports on newer samples obtained from a wide epidemiological study of avian trichomonosis in Spain. The research team managed to obtain isolates of T. gypaetini from another two species of vultures - the Egyptian Vulture (Neophron percnopterus) and the Black Vulture (Aegypius monachus) - and now we have a formal description. So what differentiates T. gypaetinii from canker-causing T. gallinae? There was nothing about their appearance which separates the two species, but when the research team did some genetic analysis on the parasite, they found that all the Trichomonas samples from vultures were perching on their own branch, far away from T. gallinae. When they search for previously published sequences of Trichomonas from vultures, they hit upon the previously undescribed isolate from the bearded vulture mentioned earlier. So where does T. gypaetinii sit on the Trichomonas family tree? Genetically, T. gypaetinii is actually more similar to T. vaginalis - a sexually transmitted parasite that infects over 160 million people worldwide each year - most of the time without them being aware of it as most cases show no symptoms. Much like those cases of T. vaginalis infection, T. gypaetinii does not appear to cause any problems to their bird host either. Furthermore, it seems that T. gypaetini is only found in carrion-feeding birds. Other birds of prey can get infected by T. galinae - the canker-causing species - through eating other birds, especially pigeons. 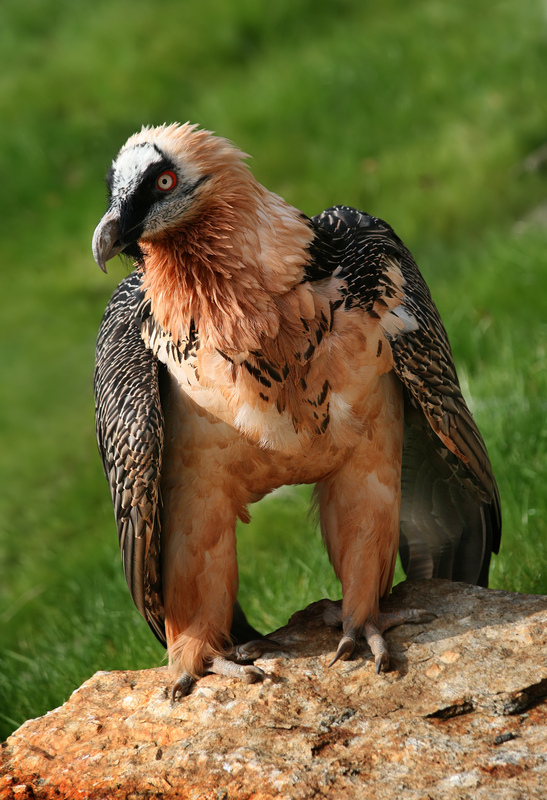 But the vultures' comparatively specialised diet and digestion physiology (especially that of the bone-munching bearded vulture) means that T. gypaetinii is the only Trichomonas that can successfully make vultures their hosts. Martínez-Díaz, R. A., Ponce-Gordo, F., Rodríguez-Arce, I., del Martínez-Herrero, M. C., González, F. G., Molina-López, R. Á., & Gómez-Muñoz, M. T. (2015). Trichomonas gypaetinii n. 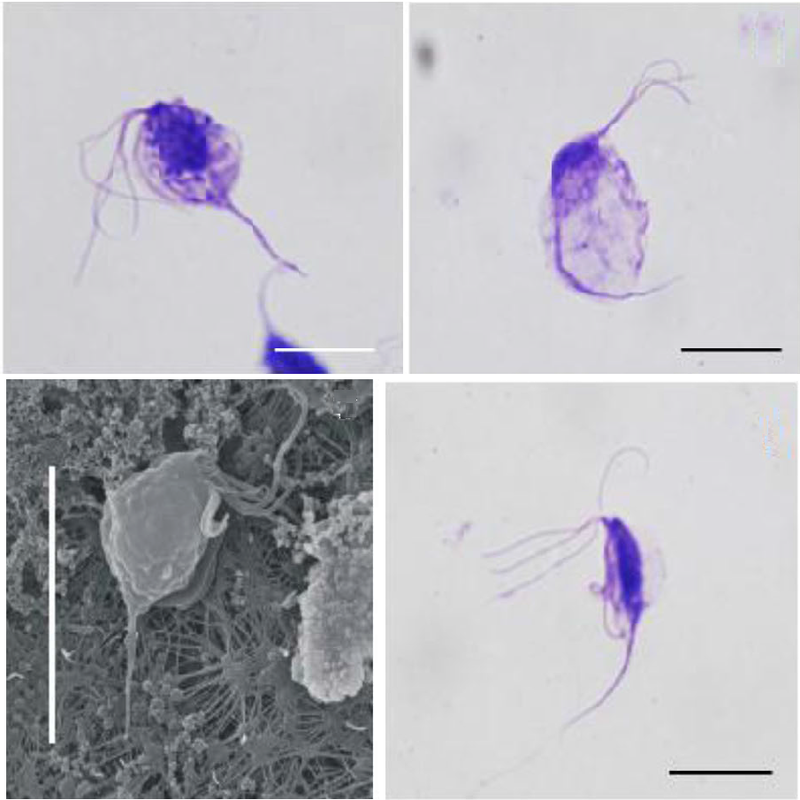 sp., a new trichomonad from the upper gastrointestinal tract of scavenging birds of prey. Parasitology Research 114: 101-112.